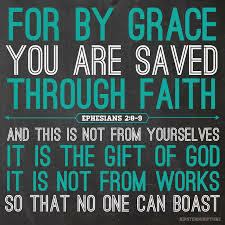 Ephesians 2:8 makes it clear that faith is a Gift from God, not because we’ve earned it, or are worthy to have it, it is a Gift from God. 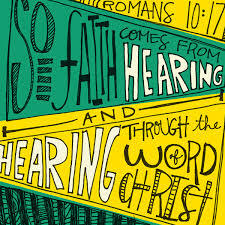 Romans 10:17 tells us that faith comes by hearing the Word of God. If you are having problems trusting God, you need to read His Word. Everyday, you need to read God’s Word, the Bible, and learn more about Him, about His character. Then you will start to trust Him more. It is an absolute belief that God is constantly working behind the scenes in every area of our lives, even when there is no tangible evidence to support that fact. On the other hand, fear, simply stated, is unbelief. 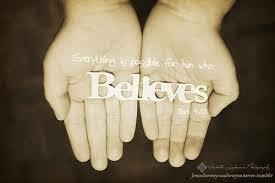 Unbelief is an obstacle to a healthy faith. 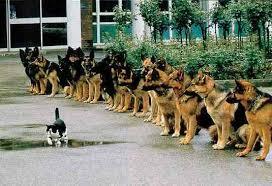 If left unchecked, fear gains the upper hand in our thoughts, fear takes hold of our emotions. Our deliverance from fear and worry is based on faith, which is the very opposite of unbelief. We need to understand that faith is not something that we can produce in ourselves. 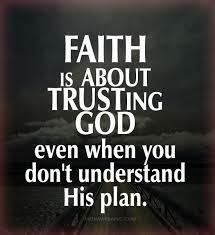 God has an unusual way to develop a strong faith and trust towards Him. He uses Adversity as His most effective tool refine our faith. When we remember that faith is nothing we develop ourselves, since we didn’t ‘give it to ourselves’, it becomes very freeing to know that God, being the giver of my faith is the also the source of that faith. God has taken it upon Himself to personally see to it each day that the faith He has given to Marty, be not only supplied, but exercised. Adversity is God’s most effective tool to develop a strong faith in me. I know this to be true by my reading in God’s Word the various patterns in other people’s lives. David knew the God who had sustained him through dangerous situations in the past. 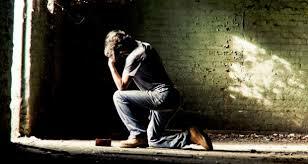 He had seen and experienced God’s power and protection in his life, and this developed within him a fearless faith. There are……. many things that I believe in that I don’t and have not seen. I have grown to believe in the wind, even though I have never actually seen the wind…… Oh I do see the effects of the wind……I see the trees that are bending as a result of the force of the wind.. I see the blowing leaves…I see the dust that is being carried about; and so even though I cannot actually see the wind, I do see the eevidence of it. 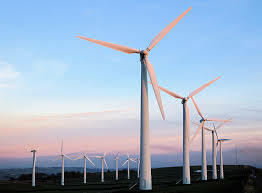 The wind, we can feel it. We can categorize it’s effects…. People would ask us, ‘hey how was your trip, was it windy?’ I might reply with something like, “Oh, it was a cold, biting wind,” or if you’re in the Los Angeles area during the Fall months, you might hear people saying; “The winds were vicious, they were the ‘Santa Anna’s’ , definitely the kind of wind that you can feel. 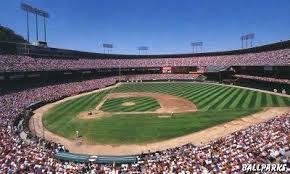 I remember years ago when I lived in the Bay Area in Northern California, where I had season seats at Candlestick Park in San Francisco. If it was a day game, you could count that about the 6th inning the winds would come roaring in. Even though you couldn’t see it, you could see the ‘evidence’ of its arrival when your baseball cap was being lifted off your head, and hot dog wrappers were seen whirling about in the outfield. You could see the evidence of it, and you came to believe in the wind, though people didn’t actually see the wind itself……. 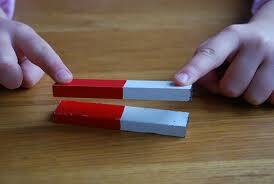 Magnetic force–I believe in it, although I’ve never seen it. 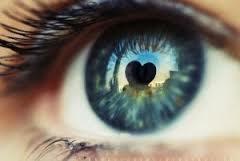 I see its effect as I bring opposite poles together and I watch them attract. And so I believe in the magnetic powers or the magnetic force, but I have never seen it. I see evidence of it. I see evidence of God. I feel the presence of God. I feel the power of God. I feel the love of God. I see the evidence of God’s existence, through faith, I believe in the existence of God, although I’ve never seen God. Incredible statement especially from a scientific standpoint. The Bible said that God said, “Let there be light.” God said, “Let the waters above the firmament be divided from the waters beneath the firmament.” God said, “Let the earth bring forth herb yielding seed after its kind.” God said these things . . . I believe that God spoke the scene world into existence so that the things which we do see were made out of things which do not appear. It takes a lot of faith to deny evidence that Jesus Christ never existed at all. The Greek word Pistis(pis’-tis); means conviction of truth based on belief in something. In order to understand faith, I need to understand “Truth”. Truth is what is real as opposed to what is not real. God either does or does not exist. He cannot both exist and not exist. 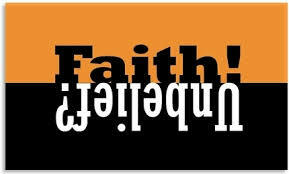 Faith believes “Something” is “True” without having actually witnessing its actualization. I do not have to believe I exist, I know I exist it not a matter of faith. 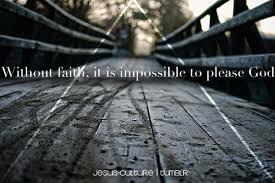 On the other hand, faith is required of me in this physical world. When I approach my truck to start it, there is a degree of faith required of me. There is no assurance that the truck is going to start just because it started in the past. But once the truck has started, faith is no longer in operation.. because now I know the truck starts. Since my truck has started in the past, I have a degree of faith that it will start in the future… faith continues as I drive along and go over the Golden Gate Bridge…. I have faith that the bridge will support my truck, from experience, I therefore am confident it will do so again! In the same way, though I have not actually seen God, I have faith in Him. My faith in Him grows from experience and understanding. In other word, as I become more confident in God’s faithfulness, I learn to trust His Word. The more I understand God’s faithfulness through the reading and studying of His Word, my faith grows by the experiences that follow. I can see the work of God through my experiences and watch my faith grow. Instead of reacting to a certain crisis like I used to do, I remember God’s faithfulness the last time, and see by the promise in His Word that He has never let me down! Though I have not seen God, I have faith in Him. My faith experience doesn’t happen all at once. Instead, my faith grows from experience and understanding, as I become more confident in God’s faithfulness, I learn to trust His Word. The more I understand God’s faithfulness through His “Word” the more my faith grows. In closing, it seems that the more I read about faith, the less I understand just how it works. My walk in faith is really not about how much I understand it, and more about how often I do it. And so faith becomes more of an exercise, kind of like when we begin an exercise program, to take a few pounds off or get in better shape. We can read the brochures over and glance at those beautiful color portraits of the facilities, and sigh and dream about it, or we can just put our hands to the plow and just start doing it. Do what’s in front of you, it may not look like what you have or had in mind, but with God, walking in faith will require you to keep moving forward. Faith, how can I know that I’m walking in it? It’s the evidence of things unseen. It’s when you don’t see it, that you know you’re walking in faith. You can certainly see your skiolls within the work you write. afraid to say how thesy believe. Always follow your heart. Thank you Andrew, ALL the glory goes to the one True God in Jesus. I loe your blog.. very nice colors & theme. Thank you, I designed it with my wife. The Lord bless you as you seek Him. the Berean Road <Loved it! Praise the One True God, all the glory goes to Him.